Experience a slower pace of life as the streets of Ballina pay homage to the traditions and cultural heritage of Ireland with the gathering of skilled craftsman and women, showcasing traditional skills and crafts such as basket weaving, thatching, spinning and blacksmithing. Sample culinary delights from the food stalls lining the streets whilst enjoying the festive atmosphere. Music and dance play a huge part in the celebrations of Heritage Day and 2016 is no different. Derek Warfield & the Young Wolfe Tones will headline the musical performances, featuring several musicians performing throughout the day. The Moffatt School of Dancing and Atlantic Rhythm Production Company will be performing their American Wake – Saoirse na hÉireann on the stage on Pearse Street. Featuring new World Champion Cian Lavelle, winning his first World Cup Title – U11 World Open Championship Trophy and Stephen Gallagher winning his fourth World Title – U13 World Open Championship Trophy. Both will be performing at home in Ballina for the first time since the CRN World Open Championships in June as well as all the students from the Moffatt School of Dance. With special designated Children’s play area on Walsh St and the Market Square Ballina, there is a plethora of games and crafts to keep all ages entertained. The Jackie Clarke Collection on Pearse Street will play host to Heritage Day’s cultural quarter in this centenary year. Its magnificent exhibition on 1916 entitled “Rising” is still running in the Collection and people are urged to visit and experience this exceptional display of material on 1916, the biggest outside of Dublin. Highlights include dedicated cabinets to each Proclamation signatory, an audio-visual experience “What the papers said” telling the story of the Easter Rising, rare photographs, books and artefacts and Jackie Clarke’s most prized possession – an original 1916 Proclamation. The Collection will also have stalls from other cultural centres throughout Mayo including Belleek Castle, Céide Fields, Turlough House and the Michael Davitt Museum. 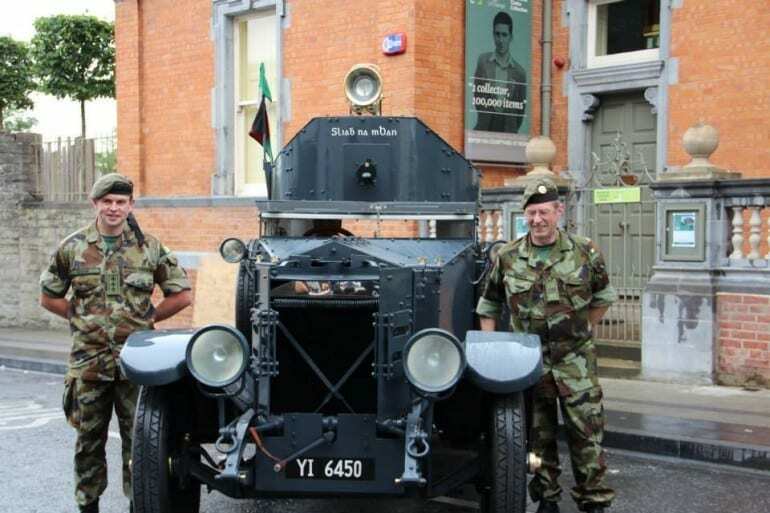 The Ballina Salmon Festival’s Heritage Day in association/partnership with the Jackie Clarke Collection’s Community and Volunteer Programme under the co-ordination of the Community Development Liaison Anne Marie Forbes are delighted to welcome back the renowned “Sliabh na mBan” armoured car that carried the body of Michael Collins after his execution in 1922, for the 3rd year running along with Captain Johnny Dicker and his team. It will be situated outside the JCC and the public are welcome to take photos with the car and the Irish Defence Forces on duty. The ancient tradition of Falconry, which has been handed down through the generations for over 4000 years, is the art of hunting with birds of prey. At Mount Falcon Estate you can enter into this world with their resident Falconers who will personally introduce you to the various birds of prey on display. 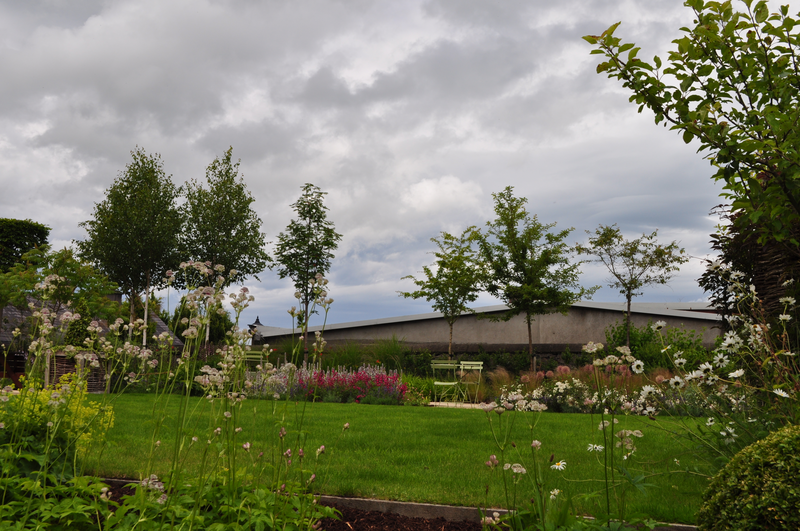 On Wednesday 13th July 2016 at 2pm as part of the Ballina Salmon Festival Heritage Day, Mount Falcon is offering the public a chance to call into the Jackie Clarke Collection’s gardens and meet some of their beautiful birds. This is a rare opportunity not to be missed. The festival will continue over the coming days with addition of new event The State Fair, Thursday the 14th July, featuring award winning country musician Gerry Gutherie and band in Ballina’s Military Barracks with surprises on the night. International Evening on Friday 15th July features live music and traditional culinary flavours from around the globe. With a variety of daytime entertainment occurring on the streets of Ballina on Saturday 16th July, Saturday night transforms into Mardi Gras Carnival with fireworks extravaganza over Ballina’s iconic St Muredachs Cathedral and River Moy. Ballina town park on the Sligo Road hosts the annual and much loved Teddy Bear’s Picnic on Sunday afternoon.